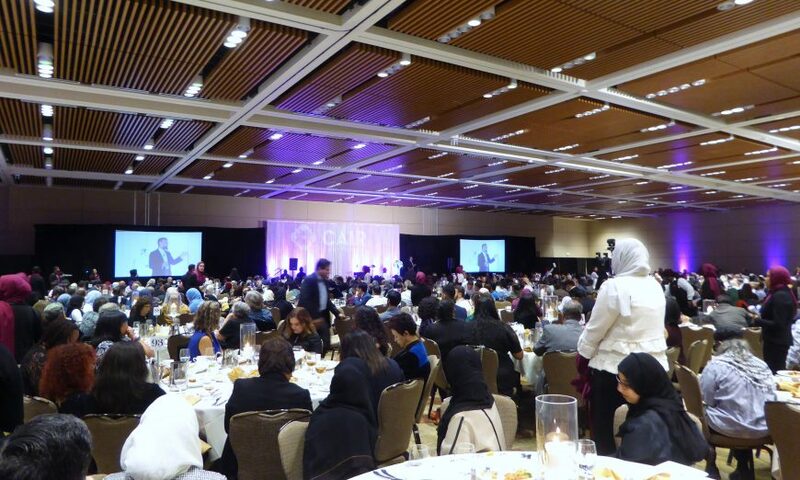 “Faith Led, Justice Driven” was the theme of the 24th Annual Gala of the Council on American-Islamic Relations, San Francisco Bay Area (CAIR-SFBA). The gala sold out, drawing more than 1,300 Bay Area Muslims, friends and dignitaries to the Santa Clara Convention Center on Oct. 27 to uplift their faith community and raise funds to support CAIR programs for justice. Underlying the festive occasion, however, was the sobering news from Pittsburgh, PA, that a Jewish synagogue, the Tree of Life, had been attacked earlier in the day by an apparently lone gunman. The massacre killed 11 Sabbath worshipers and wounded six, including four first responders, in a hate crime against the Jewish community. “It’s important to have a sense of community in this political climate, especially because places of worship and religious communities feel so compromised in terms of their safety these days,” said Los Gatos resident Khadijah Khokhar, attending the CAIR banquet with her mother. The gala began with prayers at sunset, which was 6:17 p.m. that day. The worshipers removed their shoes and kneeled on prayer mats in a ballroom, the women separate from the men. The imam (prayer leader) chanted the traditional call to worship: Come to prayer, come to success, God is great — Allahu akbar. 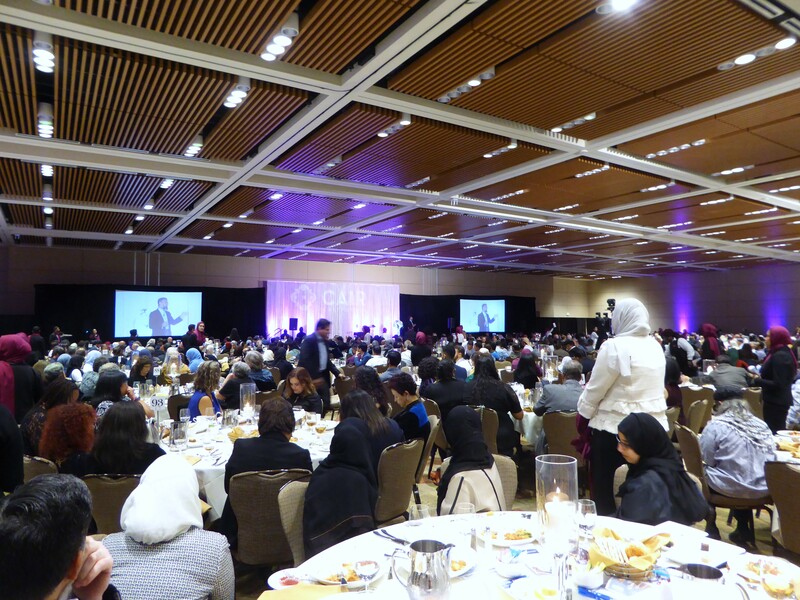 The gala program opened with remarks from CAIR leaders and the introduction of Bay Area dignitaries, followed by dinner, fundraising, featured speakers, and the presentation of awards — including an award to the Fine Arts Museums of San Francisco for its “Contemporary Muslim Fashions” exhibition on display through Jan. 6, 2019. State Senator Bob Wieckowski welcomed CAIR to Santa Clara, promising that California would continue to be a voice of hope, celebrating its diversity and resisting discrimination. CAIR’s program on Bystander Intervention Training was presented in Santa Clara last August. CAIR-SFBA Executive Director Zahra Billoo spoke of the government ban that prevents Muslims from certain countries from entering the United States. She shared the story of a young woman in Berkeley whose husband cannot join her. Gala attendees gave up $250,000 by the end of the evening, well on the way to meeting the $350,000 goal. A young Muslim woman from Sunnyvale, who wished to remain unnamed, had some practical advice on knowing and loving others. CAIR is the nation’s largest Muslim civil rights and advocacy organization. Visit https://ca.cair.com/sfba/ for information. It’s not noticed or mentioned that in your wonderful photo CAIR and Islam make a point to relegate all the women to the back of the room. I think that is not within the scope of American values. We as a nation do not relegate women to the back of the room and we should not and cannot have immigrants enter into America to do this to their women on American soil. How can we just sit back and not only not noticed but also say nothing of it. No CAIR and Islam you will not send women to the back of the room on American soil. I am a Bay Area Muslim woman who is a naturalized American citizen. What makes one think that all in the photo are immigrants? Some of these prople are born in the USA and some might be Americans who simply converted to Islam and choose to wear hejab so it would not be fair to judge people just by looking at a photo! groups. This is performed to put all attention to the almighty lord while praying performed. This is also to prevent for any possible distractions from lower physical presence of man or woman at the house of GOD! So if there is no curtain, the men pray in front of the women out of respect for the modesty of the women, who must also submit side by side of men and position our forehead, the highest physical part of our body “our head , tho the lower ground and humble ourselves in front of the almighty and worshipping just God. prayed behind the men with there own choose out of traditional respect for the women in Islam. Hi Red. 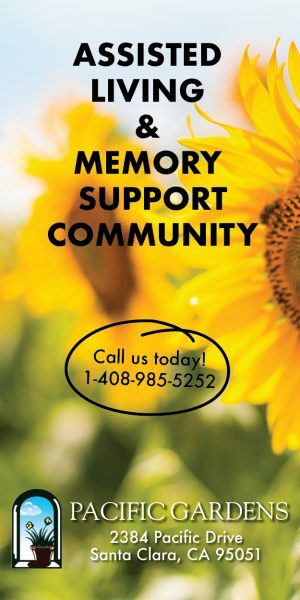 I wish you had joined us for the event. You’d have seen myself, my colleague, Sameena, our volunteer of the year, Lubna, and so many other Muslim women who lead on stage and throughout the event. Please join us or a local mosque for any of our upcoming events to get a real, first hand perspective on your Muslim neighbors.